Each year, in addition to being published in the database, a selection of abstracts chosen by a peer review panel for their special relevance are published annually in Leonardo (see Vol. 52, No. 5, October 2019) and on our website. We are pleased to present below the top-ranked thesis abstracts of 2018, and we congratulate the authors of the theses. Together as attributes of one entity, the mind and body determine how we experience, understand, and make music. Our bodily experiences in the world shape how we comprehend music. In turn, our music cognition and expressive intentions are shaped by and mediated through the body when we make music. This inseparable mind-body interaction is essential to our sense of meaning, connection, and embodiment in our musical experiences, yet this dynamic is not always intact in today's technology-mediated music-making. 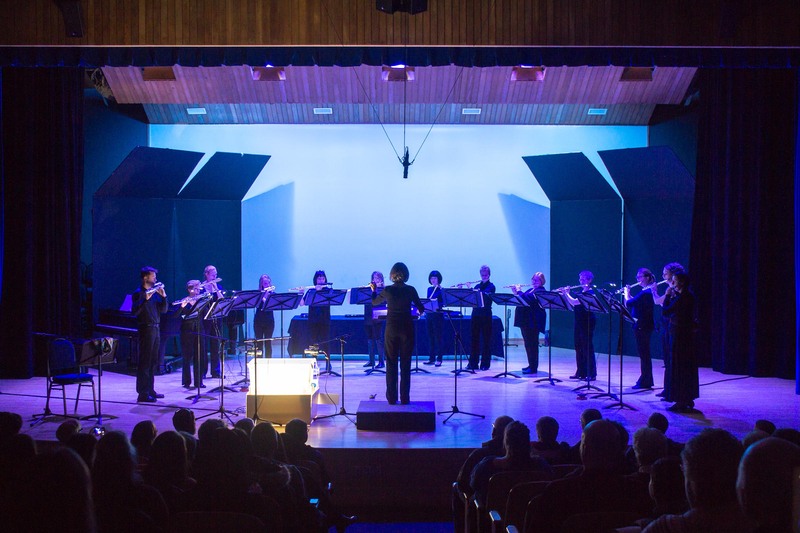 Digital technology offers endless possibilities for new musical sounds and the mechanisms to control them, but the relationship between musical intentions, human action, and sound in such technology must be deliberately designed. Some current approaches to designing computer-based musical experiences dichotomize these mental and physical aspects of music-making, causing issues of disembodiment and disengagement. Employing a practice-based research methodology, this thesis explores the potential of considering the “mindbody” in the design of interactive computer systems for music-making. Five interactive systems for music-making were designed and used to create and perform four original compositions. This exploratory creative and design process also yielded a set of design heuristics for holistically considering the mindbody in technology design, pertaining to 1) valuing and awareness of process, 2) integrating intention, action, and sound, and 3) whole-body engagement. Aura Pon: mail@aurapon.ca. PhD thesis, University of Calgary, 2018. Gaze Relations is an art installation that visualizes how human gaze and computer vision see bodies in visual media to compare how they operate perceptually and culturally. Gaze, in visual media, refers to the way the filmmaker and audience look at bodies and how the filmmaker behind the camera influences the way the photographic subject is represented to an audience. Gaze-tracking software tracks how a person looks at an image and then custom-built software reconstructs the image through their gaze demonstrating how they visually engage with the photographic body. Body detection, on the other hand, is a computer vision technique employed by surveillance institutions to automate the process of detecting bodies in surveillance footage. Critical software was developed to visually analyze the processes of how a popular body detection algorithm models a human body. In addition to video, costume designs represent how the algorithm sees the body projecting the machine vision back into the world it is looking at. The piece highlights the differences between the complexities and nuances of human gaze to the algorithmic processes of computer vision that reduce the human form to simple features. Gaze and computer vision will be discussed as powerful social and cultural force capable of influencing the external world, not just the phenomena of taking in light and processing it. Anthony Assi: tony.assi.arts@gmail.com, www.tonyassi.com/MFA-Thesis. Master’s thesis, University of California, Santa Cruz, 2018. The idea of shapeshifting is present in the oldest forms of totemism, shamanism and extant literature and represents our desire to create new forms. Drawing on Southwest Native American philosophy, indigenous design, and postcolonial theory, this thesis examines the signifier of the shapeshifter as symbolic metaphor to create techno-hybrid forms. Shapeshifting reformation aims to understand and develop new visual languages through the lenses of artificial life, postcolonialism and otherness. Analysis of emergent forms are employed through sculpture and automata, system aesthetics and real-time systems leading to an imaginative paradigm shift in relation to forms enforced by colonial conversion. Thus, this paper will further examine the construction of social and scientific discourses about power that initially authorized colonial violence and continues to support repressive policies against indigenous species. It argues that as the previously stable ordering divisions of Life and Nonlife shake, new figures, tactics, and discourses of power can emerge through hybrids. These concepts will be discussed in selected works from 2016–2018—The Desert, The Animist, and The Virus; Reformation of 50,000 Letters; Material Reiteration; and Data Weaving as Activism—using indigenous processes combined with computation to refigure and reimagine colonized objects. Sarah Rosalena Brady: sarahrosalenabrady@gmail.com. Master’s thesis, UCLA Design Media Arts, 2018. As new exhibition platforms for online-based art appear and as institutions seek new forms of engaging their public on the web, the need to better understand previous practices arises. Although there have been significant initiatives towards the historicization of online-based art, a historical overview of their exhibitions is scarce. With this lack in mind, the thesis presents and analyzes exhibition platforms and curatorial strategies for online-based art, highlighting key examples of the last 27 years. Throughout its chapters, the thesis not only identifies fundamental shifts in curatorial practices since the 1990s, but also provides a thorough contextualization of the field’s current concerns, highlighting the importance of community-building strategies for online-based art. Above all, the thesis identifies a certain experimental approach throughout the history of online-based art exhibitions as projects explored and experienced the potentials (and downfalls) of the medium in their making. Moreover, the thesis shows that, as the online medium itself is subjected to systematic shifts imposed by the market logic of the perpetual beta (where software is launched in the “experimental phase” as to “release early and release often”), so are the online-based art exhibitions. In this sense, being experimental means not only to explore the potentials of technology, or transgress the imposed boundaries, but to be open and prepared for further developments. That is, to be experimental is to be a perpetual beta. Lia Carreira: liacarreira@gmail.com. Master’s thesis, Danube University, 2017. Hephaistos the blacksmith is the Greek god of art and technology. Homer says he is the only Olympian god to suffer “mortal pain.” Born to walk crookedly, he is rejected by his mother, Hera, who throws the infant from Mount Olympus into the sea. There he is fostered by sea-nymphs, daughters of primordial Ocean. Returned by order of Zeus, who has need of his skills, Hephaistos is said to be the only Olympian who works. Hephaistos is paradigmatically representative of the mythic Maker archetype. Two themes emerge when tracking this archetype’s manifestations through history. “Wounded Artist” pathologizes Hephaistos as emblematic of the mother-wounded and thus psychically impaired creative masculine. “Monstrous Technology” conflates the Hephaistean archetype with technological hubris, culminating in the military-industrial complex. Contemporary norms image the artist and technologist as having divergent aims and values. Greek and other mythic texts/images and key etymologies show they were anciently revered as aspects of the same archetype. By Plato’s time, technê, the Greek root of “technology,” was conceptualized such that the Maker’s mythically/metaphorically “skewed” gait situates the archetype in opposition to the “straight” gait of legitimate power in the Greek polis. This metaphorically crooked gait is associated with mêtis (roughly, “cunning intelligence”) and connected with the primordial Oceanic powers of shapeshifting and ambiguity. This work re-centers the Hephaistean archetype in a poetics of Making, reclaiming its ancient roots. Cheryl De Ciantis: cdeciantis@kairios.com. Ph.D. thesis, Pacifica Graduate Institute, 2005. This dissertation narrates the development of internet art, a diverse set of practices united by their exploration of the technological, social, and/or political bases of computer networks. Covering the period from 1994, when internet art coalesced around the rise of the World Wide Web, to 2003, when both internet art and internet culture writ large began to respond to the rise of social media and web 2.0 technologies, the dissertation homes in on specific net art projects that variously engaged or challenged this period’s most persistent claim: that the internet is a new, digital public sphere. Reviewing significant theorizations and critiques of the classical public sphere, the concept on which such claims were based, the dissertation reveals three major models through which net art defined the publicness of computer networks—as an interpersonal network that connects or unites strangers into groups; as a virtual space akin to physical spaces of public gathering, discourse, and visibility; and as a unique platform for public speech, a new mass media potentially accessible to all. In so doing, the dissertation provides an historical account and critical analysis of internet art that encompasses not only its technological evolution, but also its confrontation with the claims of publicness upon which our understanding of computer networks, and the art made on and about them, are founded. Megan Driscoll: mdriscoll@ucla.edu. PhD thesis, University of California, Los Angeles, 2018. The San Francisco Tape Music Center (SFTMC) was an independent, non-profit corporation that fostered a unique community of experimental musicians and artists in the Bay Area between 1962–1966. It has been celebrated as both a direct influence on the counterculture that peaked during 1967’s “summer of love”, and as a decentering foil to more established histories of experimental music centered in New York and Europe. In the memories of many who were there, the SFTMC opened windows onto many possible worlds through novel technologies, compositional and collaborative logics, flows of instrumental agency, and ways of organizing the very sociality and materiality of creative work. This dissertation follows four people—Donald Buchla, Morton Subotnick, Pauline Oliveros, and Ramon Sender—and shows how their experimental practices diffracted away from each other, producing moments of irreducible difference. It argues that these people sustained a constitutive ambivalence: even as they cultivated and relied on the institution, they also threatened the very nature of institutionalization. In a truly experimental spirit, one could say, they produced more than they bargained for. Studying moments of experimental difference and excess has consequences not only for understanding compositional and creative logics, but also the inherently political project of organizing—of practices, processes, and bodies—in the 1960s Bay Area and well beyond. Theodore Gordon: ted.gordon@gmail.com. PhD dissertation, University of Chicago, U.S.A., 2018. 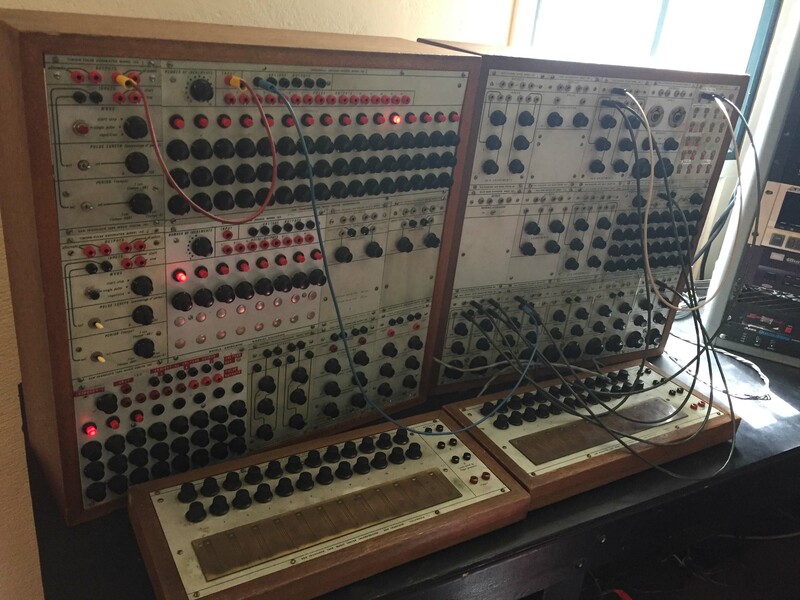 Donald Buchla’s Modular Electronic Music System at Mills College, 2016. (Photo © Ted Gordon 2016). The Diasynchronoscope is an experimental medium that draws on tropes from animation, film and Gestalt grouping to create the perception of screen-less apparent motion. This research interrogates the Diasynchronoscope as an emergent new medium. 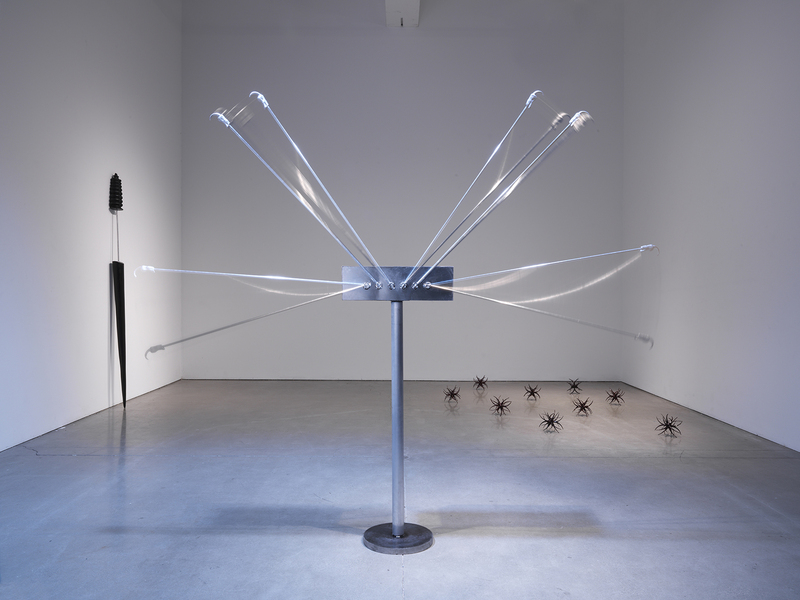 Formalisms are developed through studio practice and tested in exhibited artworks (exhibited collaboratively with Bruno Mathez). Results of evolving interactions are observed and contextualised by the author using existing frameworks from Film Studies and Psychology. Inside the Diasynchronoscope static objects are grouped according to Gestalt laws and animation principles to create sequential visual cues that, when lit with projected light, demand selective attention; thus creating the illusion of movement. 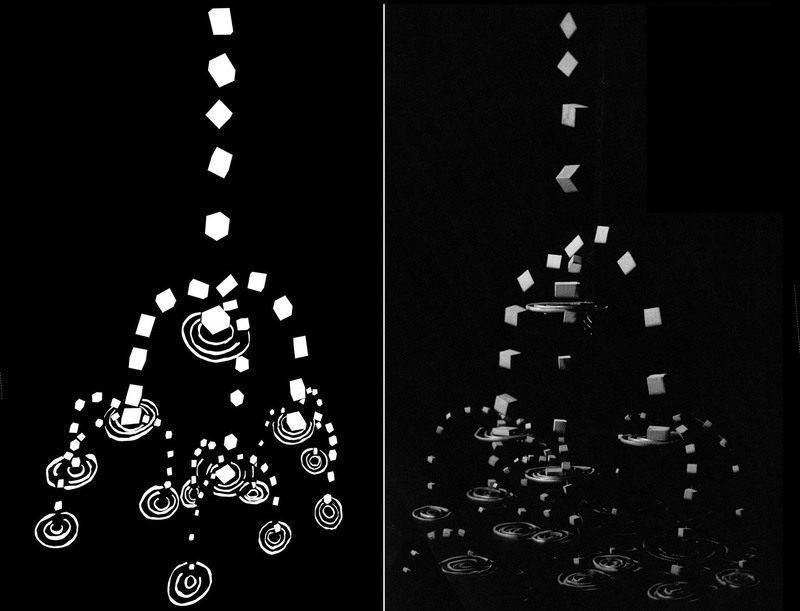 The animation is immersive, and environmental, so that observers perceive a continuous flow of movement that resembles, at a physiological level, interaction with a real-life moving object. The technique is named “diasynchronic” and the system; the “Diasynchronoscope.” The name combines diachronic, (the study of a phenomenon as it changes through time) with synchronous and scope (view). 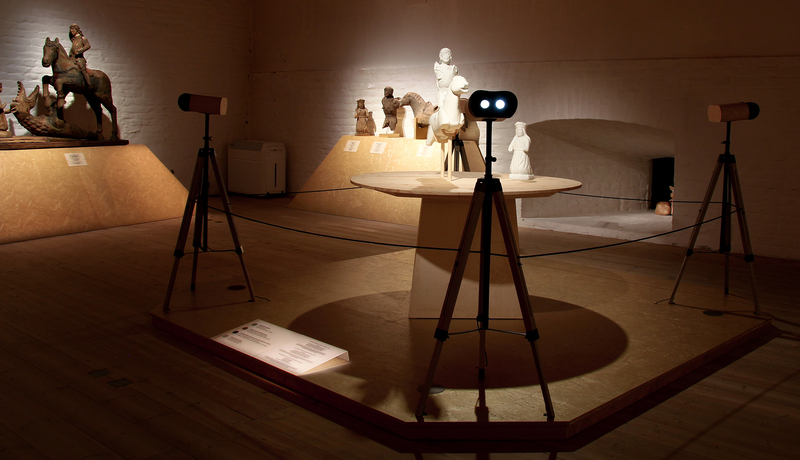 In being so named, it evokes early animation simulators such as the phenakistoscope and the zoetrope, regarded as direct ancestors of the project, as they too function both as art objects and experimental media. The thesis documents the creation of this new, experimental medium in choreographed time and explores its potential both as art and as a prototypical tool for empirical spatiotemporal experiments in Gestalt perception. 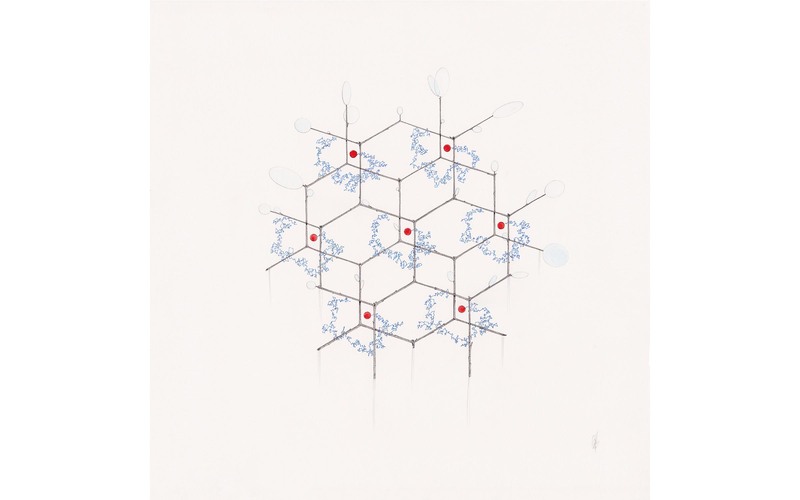 Carol MacGillivray: carol.macgillivray.rca.ac.uk. PhD thesus, Goldsmiths, 2014. The world’s first EEG brainwave enabled opera is based on research into increasing network surveillance and global governmental funding to map every neuron in the human brain. The rise of the posthuman, or biologically based human animal is incrementally merging with computerized machines and biological interfaces. It emerges from the same forces that created ubiquitous network surveillance, to ultimately surveil consciousness and the brain. Drawing upon the origins of discipline and surveillance as expressed by the writings of Michel Foucault, and control societies enabled by the rise of the digital to enhance ubiquitous surveillance, as theorized by Gilles Deleuze, surveillance and the posthuman intersect with consciousness, and the potential to be policed and controlled. Using a consumer grade brain computer interface (BCI) headset I produced the opera using methodologies based upon Donald Schon’s The Reflective Practitioner and Bruno Latour’s Actor Network Theory (ANT). “Noor” employed an Emotiv EEG brainwave headset measuring a performer’s brainwaves using preset emotional thresholds of interest, excitement, meditation and frustration, proving these emotions could launch databanks of videos, a sonic environment and a libretto. 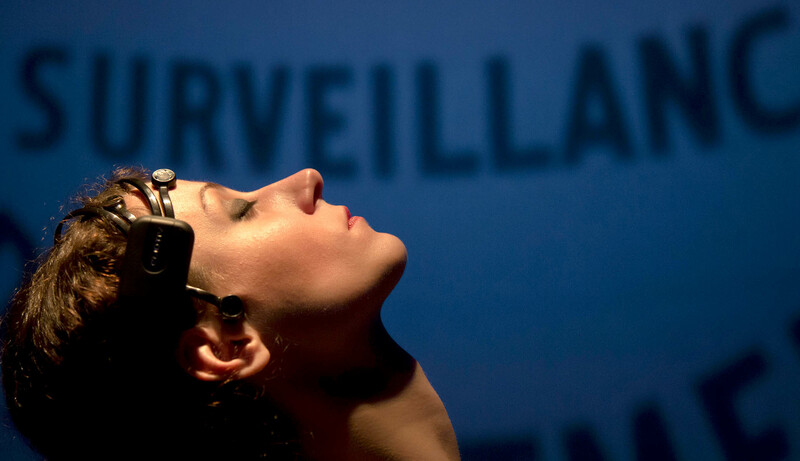 The performer’s brainwaves were displayed in real-time while interacting with an audience inside a 360-degree immersive theater. My thesis expands the known ability of brain computer interfaces (BCIs) as a tool for creative arts practices. Ellen Pearlman: ellenluminescense@gmail.com. PhD thesis, School of Creative Media, Hong Kong City University, Hong Kong, 2017. Media archaeology is a field of research investigating new media cultures through material manifestations. Although often recognized as an approach to art, its use as an approach to design has not been fully explored. Media archaeology can be valuable because it offers alternative qualities of mediation, as a design palette, to that of prescriptive common media devices. This thesis describes a media archaeological approach towards the design of a cultural heritage media installation for an exhibition at Häme Castle in 2017—a collaboration between the National Museum of Finland and Aalto University. The installation displayed a multi-view stereoscopic (3D) digital reconstruction of a medieval sculptural scene of St. George and the Dragon, based on preserved, fragmented medieval sculptures from the museum’s archives. Four stereoscopic video viewers were synchronized to a rotating central sculpture, affording an effect of augmented reality, without the need for a mainstream augmented reality implementation. The design approach achieved a well-integrated installation that was sensitive to the aims of an exhibition of sculpture within a cultural heritage museum: artistry, materiality, interpretation. This thesis therefore argues that media archaeological approaches to design can identify historical ideas that can be remediated into relevancy for new contexts, and, in spite of their historical connotations, foster engaging technological experiences for the contemporary audience. Mercedes Said: mercedes@said.design. MA Thesis, Aalto University, 2018. This thesis examines notions of diagramming within modern and contemporary art and proposes an entirely new field of ‘Diagrammatic Art’ in an attempt to reconnect science and art on deep philosophical, semiotic and aesthetic foundations. The study incorporates selected highlights from historical and pre-historical diagram creation in order to position the diagram as a fundamental mode of human knowledge production and communication, yet one that has been overlooked in terms of its importance to art where there is a distinct lack of critical discourse concerning its role. Through art’s incorporation of diagramming as part of its tools and techniques of conception and production, we can see not only the transformation of artistic practice via diagramming, but also a transformation of our notion of what the diagram is itself. Michael Whittle: info@michael-whittle.com. PhD thesis, Kyoto City University of Arts, 2015.